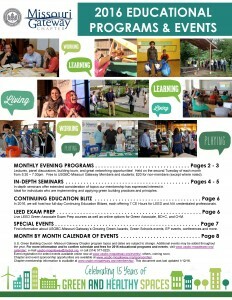 Check out our full catalog of 2016 Educational Programs & Events here, including in-depth programs, LEED Exam Prep and other special events. Click here to view a list of program attendees (PDF). Click here to view WELL Building Standard resources on the International WELL Building Institute website. 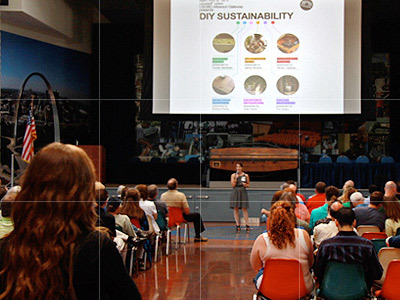 To view archives of past USGBC-Missouri Gateway programs and presentations, click on the links located on the right side of this page.